Award winning granola and muesli made in a kitchen by people who love good food rather than being churned out on a factory production line. 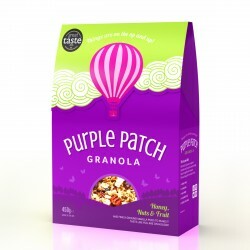 Their breakfast cereals are made with UK sourced ingredients where possible and are finished with finely ground vanilla pods for a unique and awesome flavour. The vanilla adds depth and a hint of sweetness. Honey and cold pressed extra virgin rapeseed oil are used in their granola. A great start to your day - Things are on the up and up! 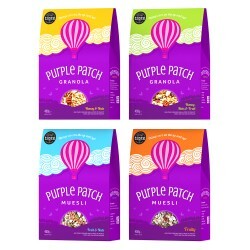 All of their breakfast cereals won a Gold Star in the 2016 Great Taste Awards!